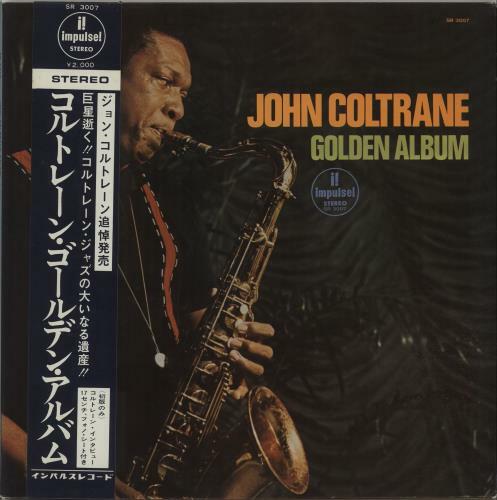 JOHN COLTRANE Golden Album (Limited Edition 1967 Japanese-only 4-track stereo LP compilation, housed in a unique silk laminated gatefold sleeve with obi-strip. The cover shows very little of its age (a spot of mild foxing inside & a tiny 1cm split in the obi] & the vinyl is near mint. This collector's edition comes complete with a one-sided promotional blue 7" flexi-disc (P-91) with custom 'Not For Sale' label print. 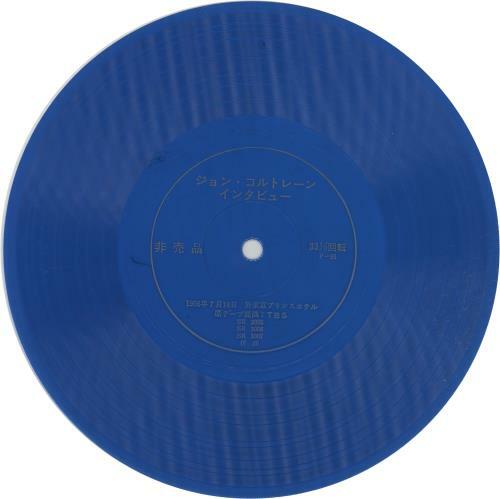 The flexi-disc contains an interview recorded onJuly 18, 1966 at Tokyo Prince Hotel for TBS Television Inc, & is housed in a unique flipback picture sleeve. Both the sleeve & flexi appear near mint SR-3007). 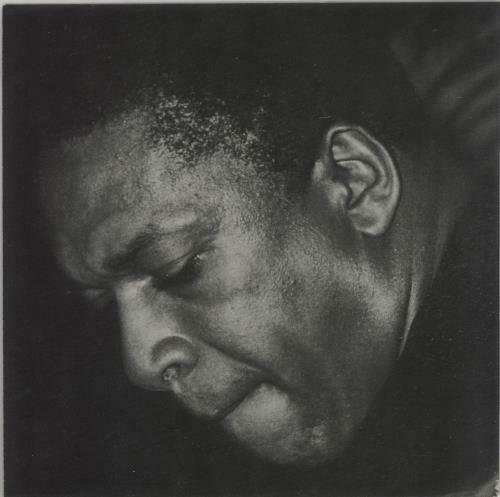 or visit our John Coltrane image gallery.